1. 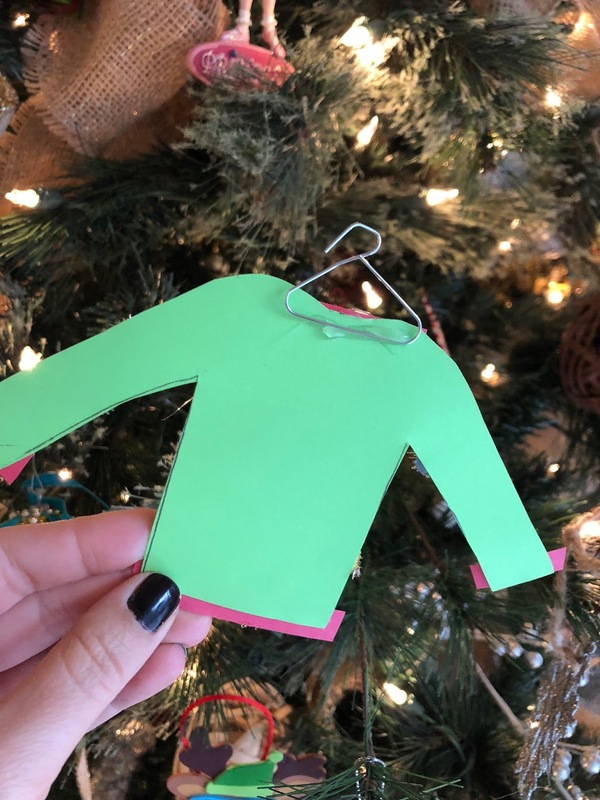 Create a 'sweater' template by drawing out a little sweater on an index card. 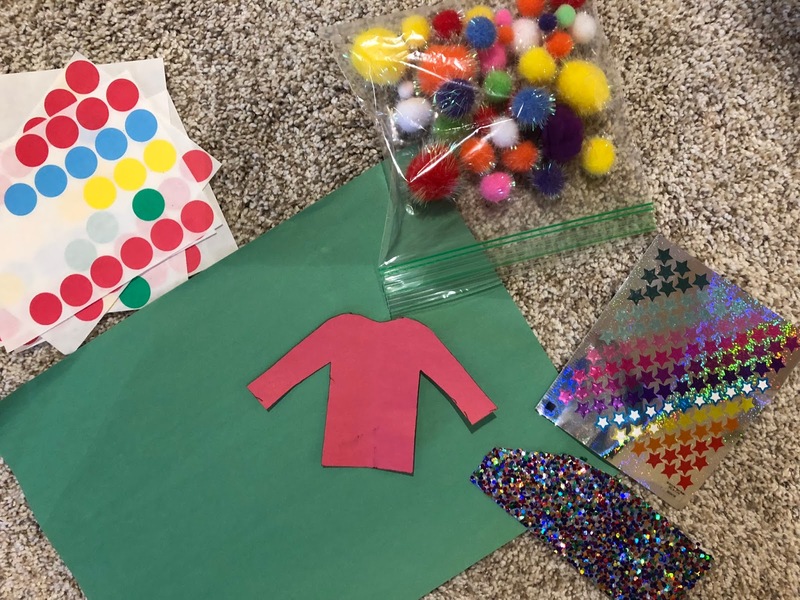 Or you can download this one here from "Crafts by Amanda". 2. Trace and cut sweaters. 3. Decorate -the tackier, the better! 4. Bend your paper clip into the shape of a hanger. Glue to the back of the sweater. 5. 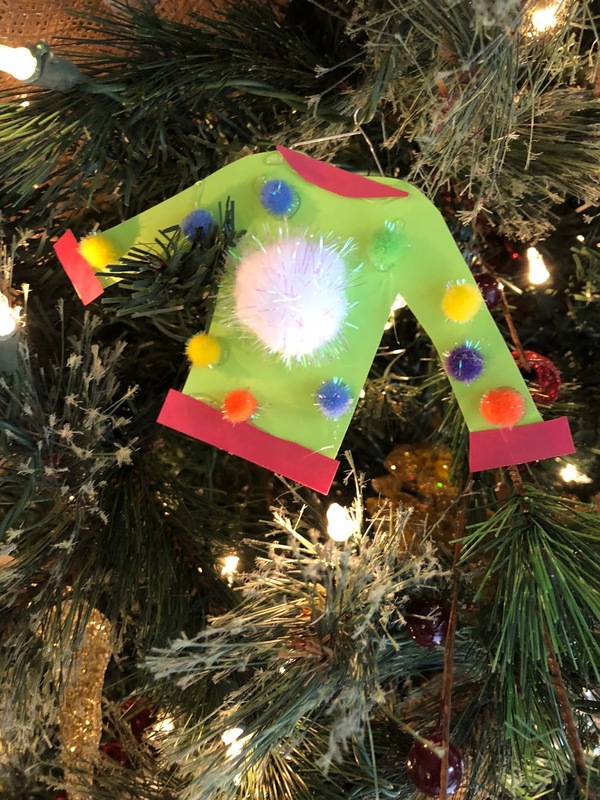 Hang it on your tree or give it as a gift. 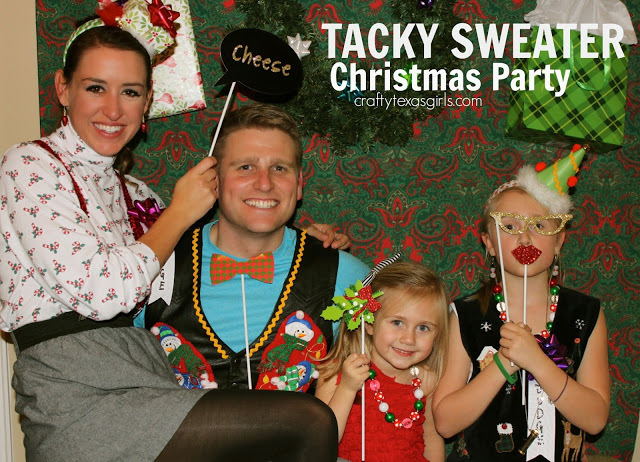 We had a BIG Tacky Sweater party a few years back, complete with a photo booth and prizes. Click here to see all the fun pics!